I caught up with Julian Forwood and Bernice Ong recently in McLaren Vale. I loved listening to Julian's philosophy on wine. This being their flagship, he has aimed to wind this back rather than wind things up. "Music doesn't get better past a certain volume," he says. Good words those. 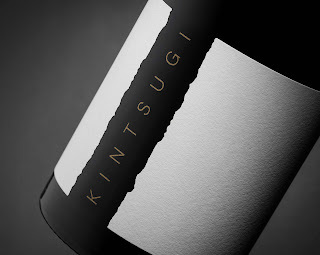 A Grenache, Mataro, Shiraz and Cinsault blend (80/10/5/5), the Kintsugi is vintage dependent. Such a pretty wine, it has a softly-softly delivery as it caresses the mouth. Red berry fruit up front with peppermint very much relaxing out the back. Lighter than expected in the mouth, a gentle rub of earthiness gets me further enthused. Another whiff and purple flowers and blueberries waft on by. A minerally feel is apparent too along with some dried herbs for good measure. What sets this wine apart is the absolute marriage of all parts creating a seamless result. It's hard not to be in love. Delightful.